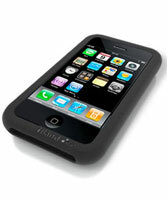 Businesstraveller.com brings you the latest travel gadgets and accessories to ease your life on the road. 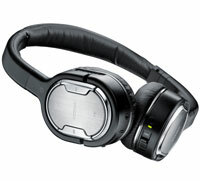 This week: the latest Bluetooth headset, protective casing for your iPod, and a video MP3 player with integrated speakers. Nokia has launched its latest Bluetooth headset, teaming up with Wolfson Microelectronics to incorporate ‘active noise cancellation’ – eight microphones pick up and eliminate background noise in order to give the listener crystal-clear sound. The headset has answer, end and redial buttons, and also sports two microphones to make sure you’re heard even in noisy environments. It can be connected to any device via Bluetooth technology or through a wired connection to all Nokia devices with 3.5mm and 2.5mm Nokia AV. Kensington claims to have made the computing experience significantly smoother and easier with its new cursor and scrolling control. A long way from Kensington’s first trackball the “Turbo Mouse”, released in 1986, the SlimBlade TrackBall’s various interface functions support navigation, media control adjustments, document and photo browsing. Compatible with Macs and PCs, requires a USB connection. The Tech21 iBand spells the end to chunky protective casing for your iPod – a thin band surrounds the vulnerable edges, leaving the keypad uncovered. The iBand is made from a high tech material called D30, also used by the military to protect soldiers from bomb blasts, which contains “intelligent molecules” that lock together to absorb and distribute impact energy. Jason Roberts, founder and CEO of Tech21appeared on Dragons’ Den recently, and won backing from judges Peter Jones and Theo Paphitis, so this is one company to watch. 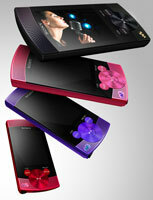 Available from The Carphone Warehouse. Nokia’s latest innovation is a mobile financial service, enabling you to manage your money from your mobile. It will allow you to send money to another person using their mobile number, pay for goods and services, pay your bills, or top up your prepaid SIM, all available 24 hours a day by SMS or a normal phone call. Nokia is operating the Nokia Money service in cooperation with Obopay, a leader in developing mobile payment solutions. It will be demonstrated for the first time on September 2 at Nokia World in Stuttgart, Germany, with plans for a gradual roll out in selected markets in 2010.